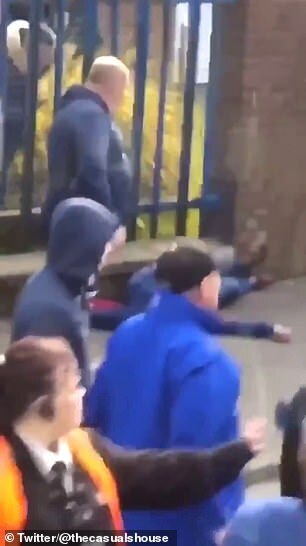 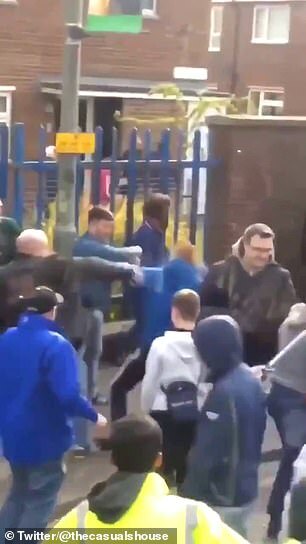 The video looks to have been recorded from a supporters’ coach with one fan seen lying flat on the pavement, after apparently being knocked unconscious on Harry Potts Way after hitting his head on a wall. 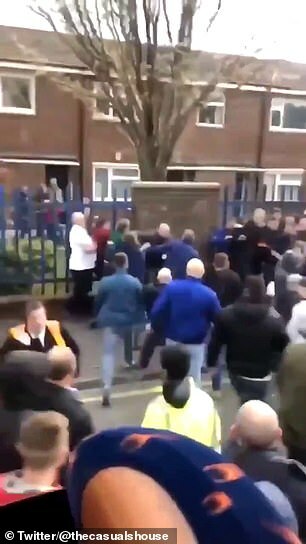 A Burnley statement read: ‘Burnley FC is aware of a post-match incident involving two sets of supporters outside Turf Moor after Saturday’s game with Cardiff City. 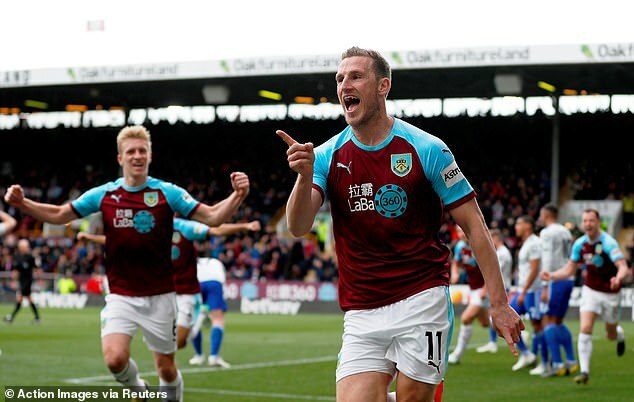 Two goals from Chris Wood sealed what became a controversial victory after Cardiff saw a penalty award, following a handball from Burnley’s Ben Mee, overturned with the score at 1-0. 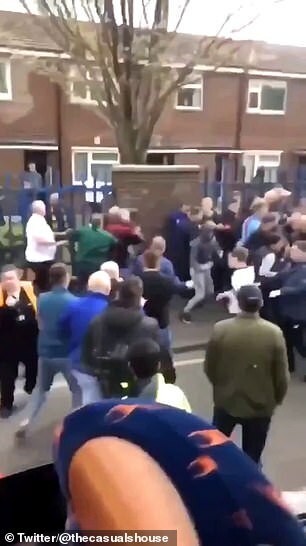 Neil Warnock’s Cardiff side play their game in hand against beaten FA Cup semi-finalists Brighton on Tuesday night, needing a win to give themselves any hope of survival.